Tat Eng was established in the year 1978 and currently has more than 30 years of experience in providing customers the most competitive price, good services, quality products, and prompt delivery. 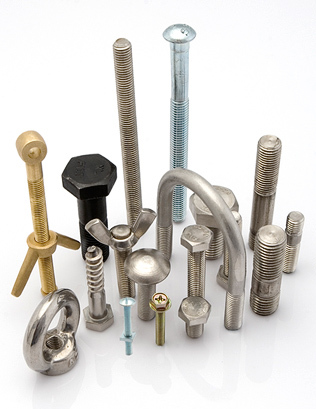 We are one of the leading Importers, exporters, wholesalers and stockists for wide range of nuts and bolts fasteners as well as metals. Our mission is to provide customers with a “One-Stop Solution To Your Fastening Needs”. Tat Eng has been supplying both local and overseas markets with a comprehensive range of quality nuts & bolts fasteners which comply with the DIN, JIS and ANSI standards. Our products include semi-finished materials such as flatbars, rods (round and square) and sheet of materials; namely, copper, brass, stainless steel, lead and fibre. We strongly believe that our continuous growth can only be sustained through the mutual trust and excellence partnerships that we had built up with our customers and suppliers over the years. We have a vested interest in tailoring to our customers’ needs, and our service-oriented staffs are fully committed to providing top-notch service. Our earnest desire for continuous learning and constant upgrading enable us to grow together with our stakeholders.